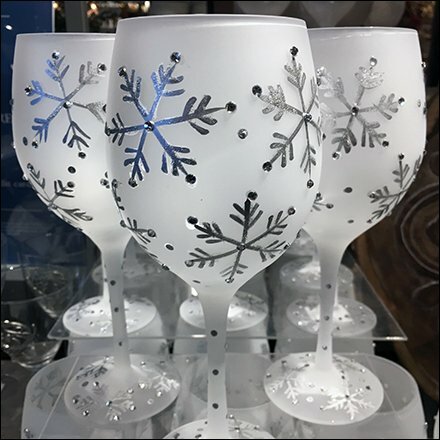 You might be professional enough to do without, but play it safe in retail presentation with Christmas Glassware Acrylic Support in the form of acrylic sheets. They are near invisible, and provide extra cross bracing. Most importantly provide a secure landing spot for customers to replace glasses picked up for inspection. This Christmas Glassware Acrylic Support and goblet tower seen at Pier One. For Pier 1 Imports Retail Fixtures by Title see..